For those with the wanderlust bug, a cruise is the perfect way to get the most out of your travels. 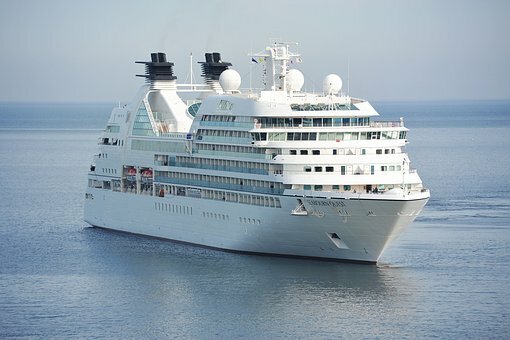 Rather than jumping from flight to flight or stressfully planning your way from continent to continent, a cruise does all of the hard work for you – just make sure you avoid these first time cruiser mistakes. However, if you’re in search of adventure and are looking for something more than a cruise around the Mediterranean, then here are three of the best bucket-list-worthy, cruise destinations. If you love history, breathtaking landscape and cosmopolitan cities, then a cruise exploring Peru may be just the thing for you. Entice your taste buds with fiery Peruvian cuisine, wander the bustling sky-scraper-filled city of Lima and explore the ancient Sacred Valley of the Incas including the mountainous Machu Picchu. If that’s not enough, you can discover the biodiversity and lush greenery of the Amazon Rainforest. Tip: search for a cruise that includes a visit to the Galapagos Islands, allowing you to witness some of the world’s most incredible wildlife. Do you dream of conquering all seven continents? Then a cruise through the Antarctica is a must. Enjoy the views as you sail by ice bergs and follow in the footsteps of pioneers as you embark on excursions. Here, you can visit a British station at Port Lockroy that was commissioned by Winston Churchill and has remain unchanged since the 1960s, or explore Half Moon Island where you’ll find seals, penguins and the wreck of a whaling ship. Tip: When booking, choose to set sail in December or January, as during this time daylight hours are at their peak and whale numbers increase. If one continent just isn’t enough for you, then choose a cruise that offers two. You will find hundreds of liners that sail to the far east, with many also including Australia and New Zealand. A true once-in-a-lifetime experience, you can taste street food in Vietnam and sail past the incredible Halong Bay, explore Tokyo’s neon-lit streets, view Thailand’s golden tipped palaces and monumental Buddhist statues, experience Dubai’s traditional souks and lavish landscape, and soak up India’s incredible atmosphere and culture. From Antarctica to Australia, these three cruises offer some of the most exciting holidays around. Simply add them to your bucket list, search companies like Bolsover Cruise Club for great last minute deals, and book to fulfil your travel dreams.